Technology-Portfolio.Net - The pixel increase in smartphone cameras currently seems to be popular. Not long ago Xiaomi and Oppo have pinned a 48 MP camera on its newest product, the Redmi Note 7 and Oppo 11 Pro. This time it was the turn of Motorola vendors who followed the two giant vendors from China, by presenting a 48 MP camera. Not only that this phone will also be equipped with a processor from the Samsung Exynos 9610, a choice of 3GB and 4GB RAM, and internal storage of 32GB, 64GB, or 128GB. One Vision will be an Android One smartphone and launched with the stock version of Android Pie. 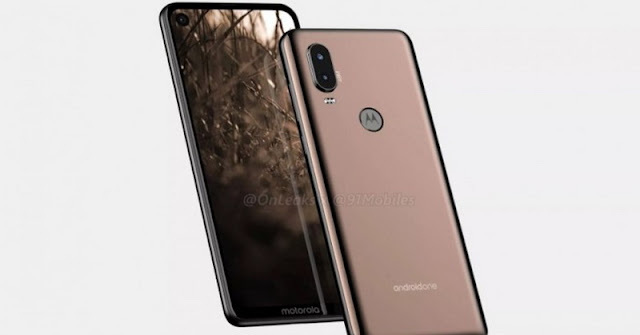 This is also likely to get an updated version up to Android R.
Motorola One Vision will come with a 21: 9 screen that has a resolution of 2520 x 1080 pixels, and is predicted to have a size of 6.2 inches. XDA reports that this phone will come with the Motorola P40 in China. Then, the One Vision series will also display dual camera settings on the back with a 48MP main sensor and a 12MP camera. Not only that, Motorola also presents a camera feature called Long Exposure and HDR 3D Video for smartphones. Claimed Long Exposure will help take better photos in low light conditions. Other specifications, the cellphone will also have a 3,500 mAh battery and will come in blue and gold.